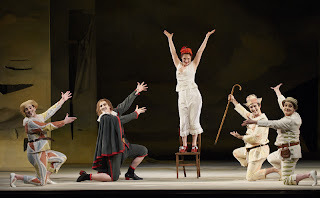 To opera fans, one of the most eagerly awaited events of the COC Spring Season is the return of Ariadne auf Naxos after an absence of sixteen years. Ariadne contains some of the most inspired music composed by Richard Strauss, and it is arguably the masterpiece among the many happy collaborations between Strauss and his librettist Hugo von Hofmannsthal. A connoisseur's opera, Ariadne weaves its magic slowly - it grows on the listener with each encounter, whether live or on recordings. While ostensibly a comedy, it's actually an opera with serious philosophical undertones, one where the many juxtapositions underscore the irony of the human condition. 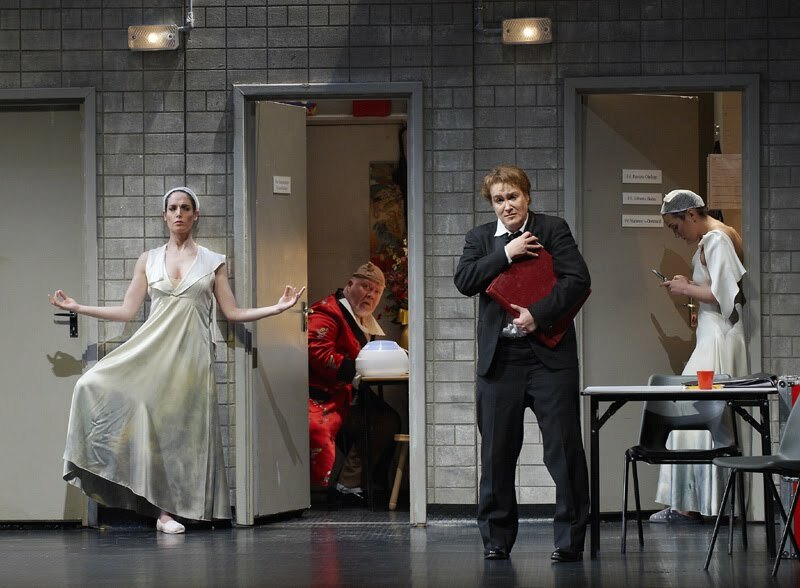 To really "get" this opera, it helps to go beyond the superficial comedy and to ponder Strauss and Hofmannsthal's philosophical musings on the duality of the sacred and the profane that is so much part of life. Front and center is the contrast (and tension) between the heiliger Kunst of the "serious music" as represented by the idealistic Composer in the form of his Ariadne and the low-brow Commedia dell'arte of Zerbinetta and Company. Ariadne, the haughty prima donna in the Prologue becomes the tragic, bereft woman wishing for death in the Opera. She and Zerbinetta represent the two polar opposites of the eternal feminine, the contrast between fidelity and constancy of the goddess Ariadne and the fickleness and free love of Zerbinetta. A truly satisfying production of Ariadne should strike a delicate balance between the comedic elements and the deeper meanings of the work. That said, productions these days seem to resort to broad comedy for some reason. For example, the 1995 Tom Diamond production was heavy on laughs. The Robert Carsen production I saw three years ago in Munich was an exception. In the current COC production from Welsh National Opera, director Neil Armfield has given the piece a rather over-the-top comic treatment. Based on the many audible belly laughs over the shenanigans of the comedians on opening night, the audience had a good time. Amusing? Yes, but in my mind rather short on profundity. Set and costume designer Dale Ferguson has updated the action to vaguely modern times. The Prologue is a study in backstage realism, but the set for the Opera itself is puzzling - very drab, with torn scenery and muted colours, a far cry from the opulence that one would expect in the home of "the richest man in Vienna." Unfortunately this quirk in the concept is not explained in the Director's Note in the program. Whatever reservation one may have in the production itself, the opening night performance was marked by very fine singing. I was looking forward to revisiting the sublime Ariadne of Canadian soprano Adrianne Pieczonka from Munich in July 2008. So it was a huge disappointment that she was indisposed and unable to sing. In her place was up and coming American soprano Amber Wagner, who has made a name for herself since winning the Met Auditions in 2007. Ms. Wagner's soprano is remarkable - a beautiful, true jugendliche dramatischer combining a rich and full lower register with a thrilling top, up to a resplendent high B in Ariadne's "Es gibt ein Reich". It's a very different voice than Pieczonka's full lyric which is a a more slender instrument but capable of more chiaroscuro and a beautifully floated high pianissimo. Wagner's voice with its torrents of sound is a little reminiscent of Eileen Farrell and Helen Traubel, impressively rich but lacking the ultimate delicacy and vulnerability. It's like red or white wine - chacun a son gout! 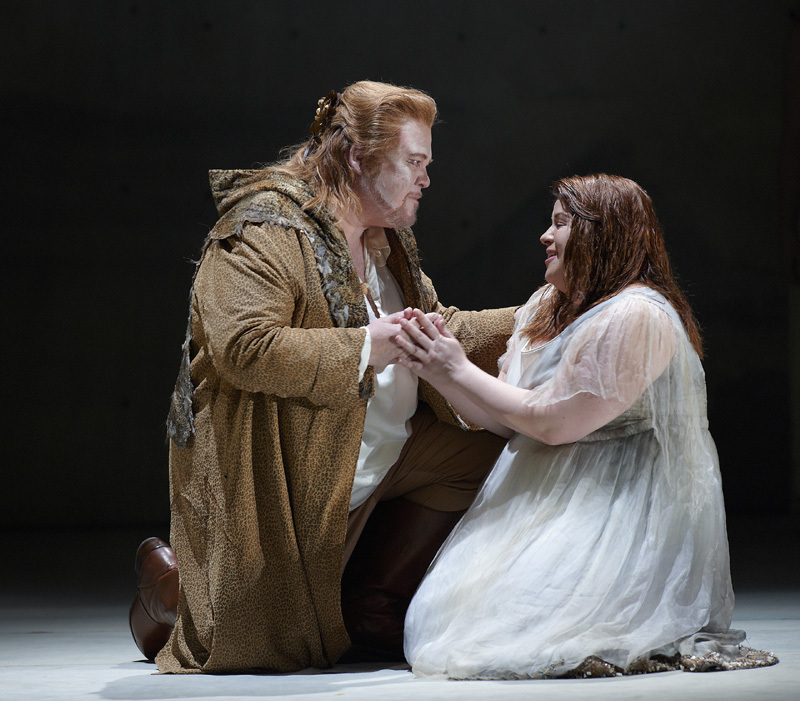 Generously figured, Amber moved quite well and interacted believably with the Bacchus of Canadian tenor Richard Margison, returning to the COC after an absence of many years. Bacchus is such a treacherous sing that many tenors have come to grief in this role over the years - perhaps it's true that Strauss hated tenors! Margison has the volume and the stamina for this taxing though short role, offering up a powerful, vital, burly sound, only marred by the occasional slow vibrato in long held top notes.